It's day 5 of blogtober and I really can't believe that I've managed to get to this point, I can't remember the last time I blogged everyday for this long! 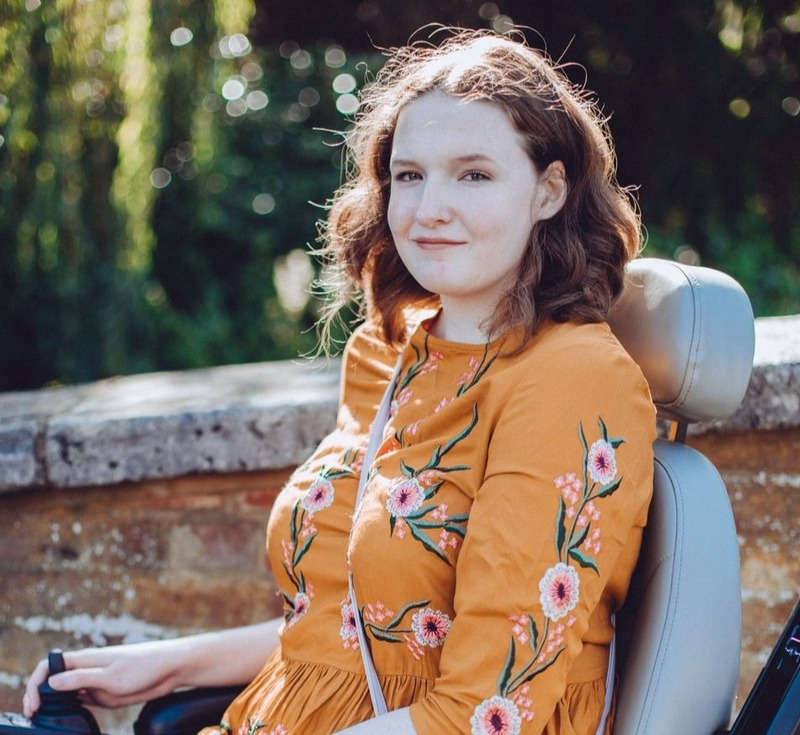 It's big achievement for me but today's post isn't about me at all, I want to share the love a little and talk about some of the blogs I've been loving reading recently. I've kept a note over the past few weeks of blogs I find myself going back to a lot and I've finally managed to get the number down to 10, it wasn't easy to do! 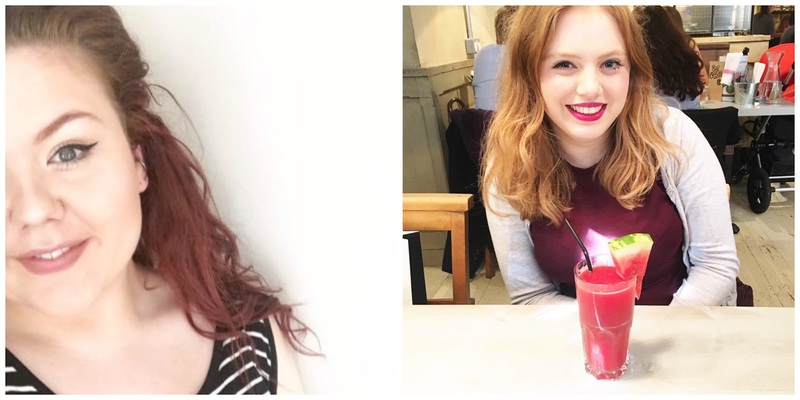 I'm pretty sure this is going to end up being quite a long post so I've decided to divide it into 2 parts, so I'll be talking about 5 bloggers today and then the other 5 next week! Megan very recently won the Best Beauty Blog and the Blogging Pro awards at the Bloggers Blog Awards and she really does deserve both of those titles. There really is nothing I can fault when it comes to Megan's blog, her photography is beautiful and I love the mix of posts you can find on there. She writes so well and I'm always clicking on to her posts whether it be a beauty review or a lifestyle post, blogging pro is most definitely a good way to describe Megan. Not only is her blog fab but as a person she is too, she comes across as so down to earth and friendly, the kind of girl you'd want to sit and have a chat with over a coffee. I imagine most of you already follow her but if you don't then definitely check out her blog! I've known Hannah via twitter for a while now but it's over the past year that I've really been so impressed by her blog, even more so than before. I feel like she's stepped up her game in every department, photography, blog design, writing etc. She blogs daily and often even posts twice a day and I just have no idea how she does it so I really applaud her, the quality of her posts doesn't suffer because of the quantity either, I enjoy reading each post and these days I always go to her blog first when I want to read some beauty reviews and try out a few new products! She's always friendly on twitter too, a great person to have a chat with but at the same time you know she could recommend you some fab beauty products! I've had the pleasure recently of getting to know Tara more on twitter, she's also doing blogtober and it's fab having someone there to support you and chat to about it! However I've loved her blog since the day I followed her on twitter. She talks about topics that other's wouldn't dare approach and I applaud her for that, it's not easy to talk about taboo subjects because of ignorance and the stigma that often surrounds many of them but she seems to do so with ease. She's opened my eyes to so many things and I'm even thinking about trying out a menstrual cup because of her. Her content is always so original as well, if you're looking for a blog that stands out from the rest and tackles many different subjects than her's will be the perfect one for you. Lily is another blogger who won at the Bloggers Blog Awards, I nominated her for 'Best Use of Photography' so I was so thrilled to learn that she had gone and won it! It really is her photography that stands out the most for me, you can tell she's taken time to arrange things to get the best photo and it really inspires me to try and work harder on my photos. It's not just her photography that makes me love her blog though, her writing and the mix of beauty, fashion and lifestyle posts is what makes me click on her posts so much as well. She really is such a sweet, kind and friendly person as well, very deserving of the award she received. Kayleigh is quite possibly one of the most lovely people I've ever come across on twitter and I feel like I want to throw confetti around every time she achieves something! Her blog really reflects her personality, her blog design is cute and her posts really reflect her as a person I think. She's such an honest person and you can always see this in her writing as well, when I read her posts it sounds like I'm sitting down just listening to a friend. It's her determination that I really love though, she works so hard to raise awareness of OCD, breaking down barriers and stigmas along the way. It really inspires me to keep doing what I'm doing, raising awareness of my own condition. I learn something new everytime she talks about OCD and mental health and it has opened my eyes to a lot of things. If you don't follow her blog and twitter then you are really missing out! 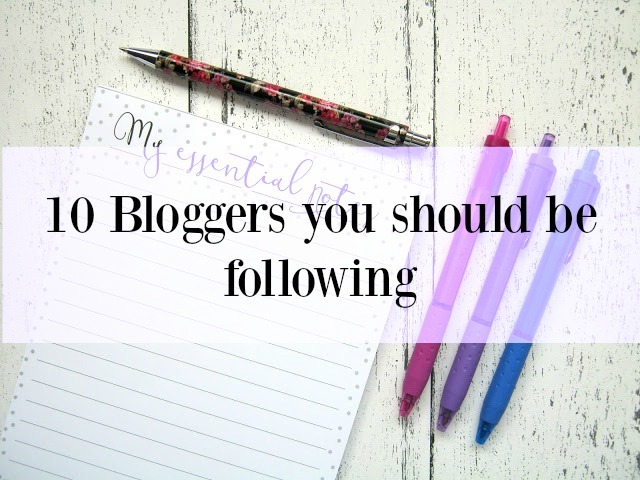 Those are my 5 bloggers for today, make sure you give them all a follow, you won't regret it! Look out for part 2 as well which should be up at the start of next week. In the meantime why don't you tweet a few of the bloggers you love, let them know how much you enjoy their blogs, it could make someones day. Aw this was such a lovely post! I love so many of these ladies and I'll have to check out the others! Thank you so much for including me and for you lovely words!